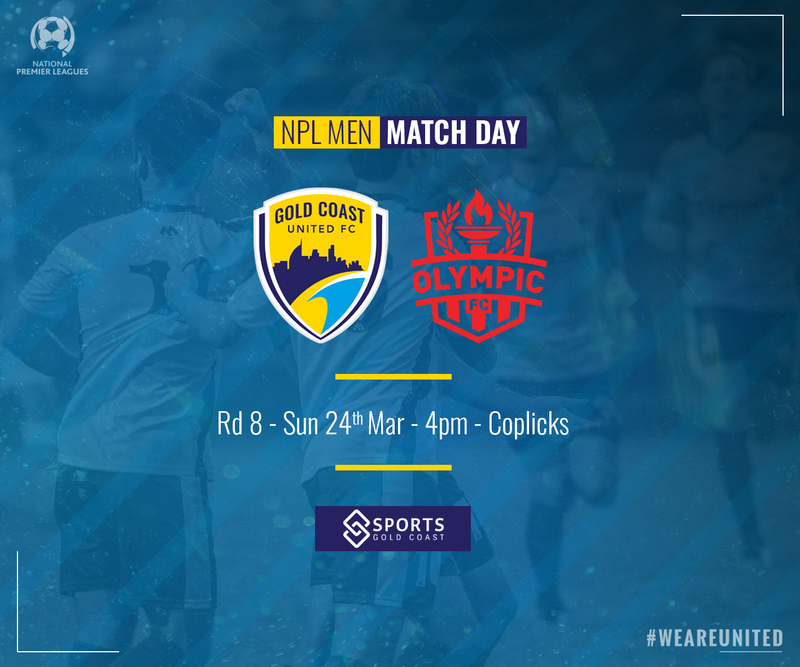 United host Olympic for the first time at Coplicks on Sunday afternoon intent on building upon their recent five game unbeaten run. Coach Kristian Rees is expecting a tough encounter against the Yeronga based outfit. “They’re a good team, they’ve got a good coach. It’s going to be a battle.” Rees confirmed. After a hard fought draw against derby rivals the Knights last start, the mood in the United camp is positive ahead of this weekend’s match against another well fancied opponent. Rees again remains focused on preparing his squad to play the best football they can regardless of the opposition, knowing full well the strength of all sides in the competition. Dean Wernerson – the centre back has started to find his feet alongside captain Michael Thwaite in the heart of United’s defence. When the chance came up to partner the former Soccerroo in 2019, Wernerson pounced on the opportunity to return to the club after his departure at the back end of the 2018 season to cross town rivals the Gold Coast Knights. Coming in to this match Olympic sit 5th on the ladder a point adrift of United but the visitors have two 2 games in hand, victims of the unpredictable weather that comes with an early season start. After opening their 2019 campaign with four straight wins the Ben Cahn coached side suffered a ‘reality check’ against Peninsula Power last start, a 5-1 belting at home against the current undefeated league leaders. There’ll be much interest to see how Chris Lucas performs on his return to ‘home turf’. The former Palm Beach Sharks striker has been on target 7 times in five appearances since joining Olympic after several seasons in the Victorian NPL. Lucas is one of several threats up front for the visitors with Jez Lofthouse, Youeil Shol and Alex Smith all capable of doing damage. Defensively Olympic will rely on captain Matt Mundy to organise the back third. Honours were shared in 2018 – two 2-2 draws, both highly entertaining affairs. The first meeting at Station Reserve was feisty at times, with Olympic scoring two late goals to nab a point on the bell. Brandon Reeves scored both of United’s goals in the return fixture at Goodwin Park, the powerful striker will be looking to repeat the dose on Sunday. Kick-off at Coplicks is at 4pm on Sunday. The match will be live streamed on Football Queensland’s youtube channel.